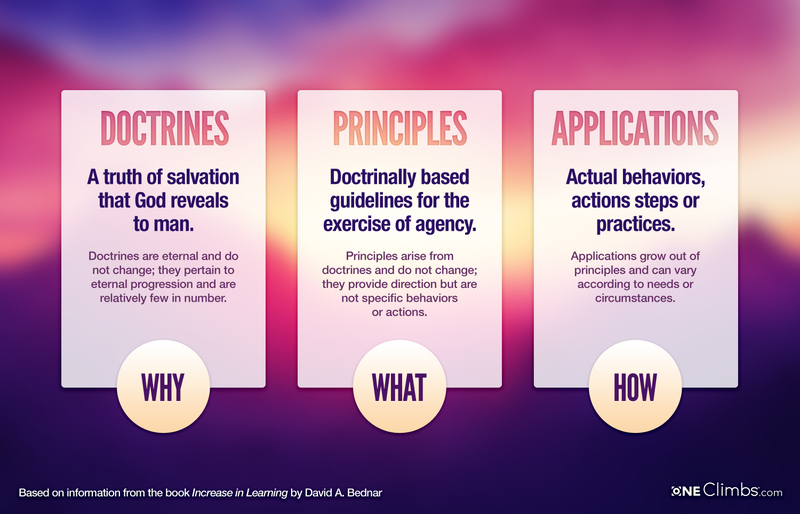 The variety of opportunities for teaching in the Lord’s kingdom are expansive. Each member of the church is commissioned to “…speak in the name of God the Lord, even the Savior of the world” (D&C 1:20). Mormon explained that the church Christ established among his people did this by regularly speaking, “…one with another concerning the welfare of their souls” (Mormon 6:5). With salvation at stake, we ought to be less concerned about facts and philosophies, and more attentive to doctrine and principles. The very best gospel teachers do not impart of their own knowledge, rather, they lead out in a group revelatory experience. I have found that the following principles help to this end. I have established four rules for all of my classes. First, I invite that the class prepare. As a teacher, this means feasting on the word, becoming an expert in the text or topic, inasmuch as this is possible.